NiagaraAX is a software framework specifically designed to address the challenges of building device-to-enterprise applications, Internet-enabled products and Internet-based automation systems. NiagaraAX provides a unified, feature rich platform which streamlines the development process significantly reducing implementation costs and time to market. Raptor Engineering uses Niagara Ax to engineer sophisticated smart systems into an integrated enterprise that allows end users to manage energy and save costs. NiagaraAX creates a common environment that connects to almost any embedded device imaginable, regardless of manufacturer or communication protocol. 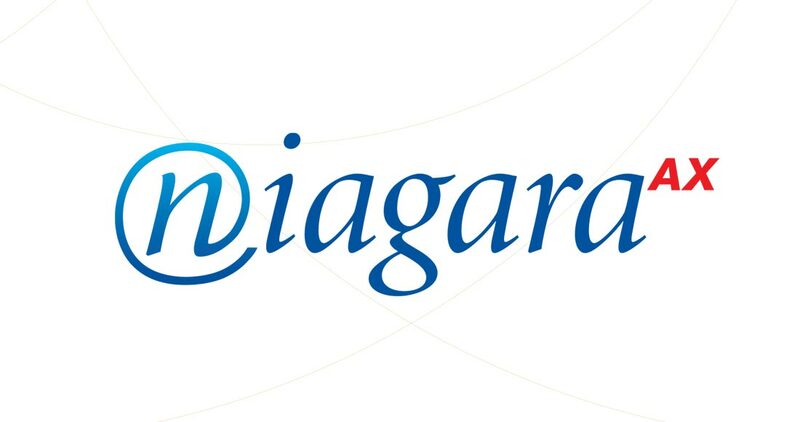 NiagaraAX models the data and behavior of the devices into normalized software components, providing a seamless, uniform view of device data to the enterprise via a wide variety of IP-based protocols, XML-based connectivity options, and open API’s. An N-1 Architecture. 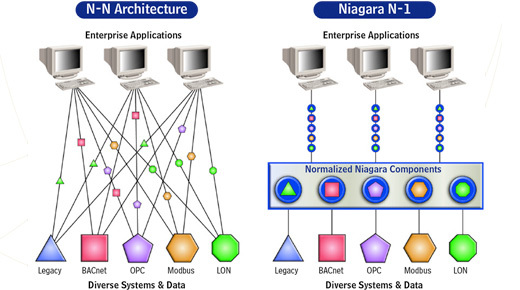 By transforming the data from diverse external systems into normalized components, NiagaraAX creates a development architecture that provides substantial benefits over gateway-based integration methods that suffer the complexity of an N-to-N architecture. The benefit – any device or system normalized by NiagaraAX immediately becomes compatible with any other system connected to the Framework, providing true inter-system interoperability and uniform data presentation to enterprise applications. As a result, developers don’t have to spend any time creating, testing and re-validating multiple gateways. Any system connected to the framework, talks to the framework.